The Chicago Tribune devoted a ton of space to a trend piece with the shocking revelation that many men actually enjoy doing grocery shopping. Beyond the silly anecdotes from two or three men, the story includes some interesting facts and figures. According to a survey, 31 percent of men are now the primary grocery shopper in the family, up from just 14 percent in 1985. A Yahoo survey found the total to be much higher with 51 percent of men claiming to be the primary shopper in the family. Stores have taken notice and changed some marketing practices. 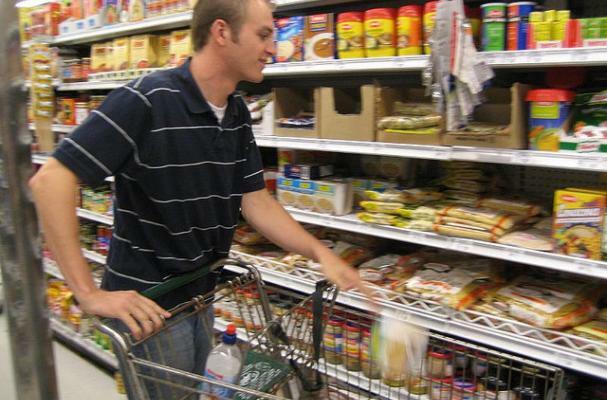 Some have established "man aisles" since many men are "uncomfortable" while shopping. Who does the shopping in your house? Or maybe you're like this family with no one going to the grocery store.